NICE, France, May 25, 2016 / — Last year, the luxury industry passed €1 trillion in retail sales, capping off several years of healthy growth. According to digital publication Luxury Today, the consumer economy has long moved on from its recovery and has now entered a “Golden” age – and a buyer’s market. Luxury Today’s mission is to give consumers the data and analyses necessary to understand the evolution of the luxury market and make more informed purchase decisions. Competition is always good news for consumers, and the luxury goods and services market is no exception. In a recent article on the luxury market’s stunning growth and intense competitiveness, Luxury Today identifies numerous factors contributing to this phenomenon. First, national GDPs are rising across the board, giving consumers more buying power. Brands must therefore work harder to earn their business. On the other hand, sales growth will inevitably level out, limiting the number of new products and services that can make inroads. Perhaps the most important factor is the rise of the Millennials, who tend to be freewheeling with their disposable incomes. The tremendous recent performance of the world’s leading luxury brands is a testament to the market’s vitality. Italian sports car manufacturer Ferrari posted its best-ever results in 2015, shipping 7,664 vehicles – a 6% bump from 2014. Not to be outdone, Lamborghini delivered more than 3,000 vehicles in a calendar year for the first time in its history. Meanwhile, the business jet industry is anticipating big numbers over the next decade. The current forecast is for 8,300 vehicles to be delivered through 2025, with a total value of $250 billion. As growth eventually returns in emerging regions, the business jet market will pick up as the popularity of private aviation continues to increase every year. As the world’s “leading luxury products group,” LVMH (Moet Hennessy Louis Vuitton) is typically a bellwether for the market as a whole. The company owns elite brands across numerous categories, including wine and spirits, fashion, perfume, cosmetics, watches and jewelry. In 2015, LVMH revenue surged by 16% over the previous year, hitting the €35.7 billion mark. All indications are that 2016 will continue this trend. Luxury Today has an ambitious long-term strategy to keep pace with the growth of the luxury goods and services market. 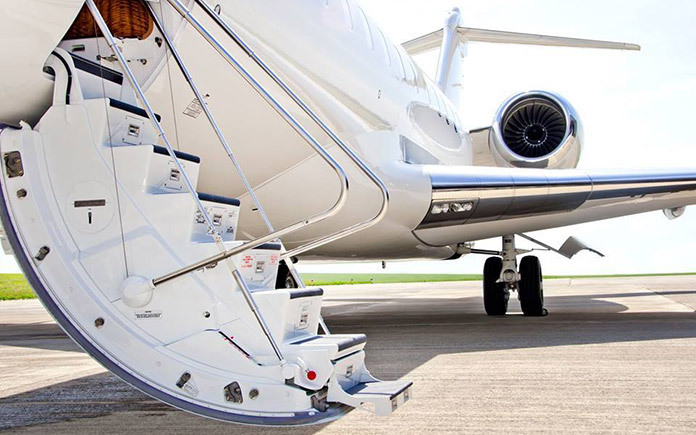 The publication plans to launch concierge services for people chartering jets and yachts, among other luxury services. Meanwhile, Luxury Today intends to build a presence in several international markets by publishing French, German, Russian and Romanian versions of the website. Luxury Today is a digital publication that provides objective analysis and information about the luxury goods and services market directly to consumers. Luxury Today arms the consumer with knowledge so that he or she can make purchasing decisions and obtain value when spending money on items such as chartering a yacht, purchasing a private jet membership, booking exotic vacation adventures in faraway places, or buying real estate.